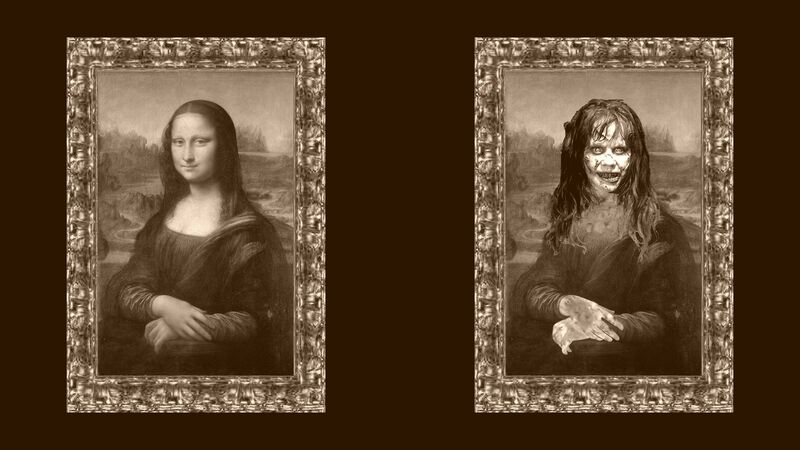 Mona Lisa Hintergrund full hd. . HD Wallpaper and background images in the The Exorcist club tagged: the exorcist mona lisa devil exorcist horror scary funny regan. This The Exorcist wallpaper might contain buntglasfenster, glasfenster, and glasmalerei-fenster.